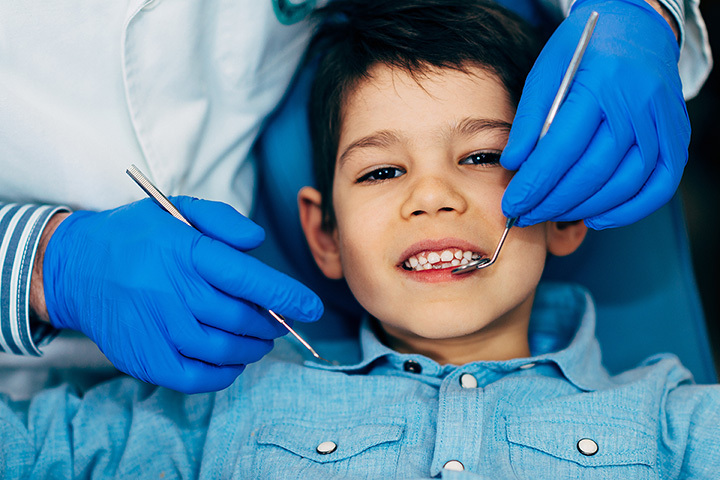 The next time your little one needs to get their teeth cleaned or get some work done, you’ll want to make sure they’re in good hands. The pediatric dentists of Maryland have years of experience dealing with children anywhere from infancy to adolescence. These doctors are experts at making the dentist office experience a positive one. Here are the 10 best kid-friendly dentists in Maryland. This Germantown, Maryland, office is perfectly attuned to your child’s needs. They specialize in teaching kids correct brushing methods, wisdom teeth, cavities, and braces. The entire establishment is designed to put kids at ease. SmileLand is the go-to pediatric dentist in Silver Spring, Maryland. They are proud to offer services for infants, children, adolescents, and special needs patients. Check out their website for a full list of services and a Spanish-language version. Frederick KiDDS believes in equipping “patients to take charge of their own oral health through effective communication, patient-centered education, and compassionate care.” In other words, they’re all about making sure your kids know how to take care of their teeth, and they provide the services to help when you need it. Kids Teeth in Rockville, Maryland, has a colorful lobby filled with cartoon characters and games, all designed to put your child at ease. They’ve been in business for over 15 years and offer many services, including special needs dentists. Lakeside Dental in Gaithersburg, Maryland, services patients of all ages with the latest technology. Take a virtual tour on their website and read all about their patient resources. Cross Keys Dental Associates was voted the Best of Pediatric Dentistry by Baltimore Magazine from 2011-2016. The practice was originally opened almost 50 years ago, and is currently led by their impressive team of six doctors. While they cater to patients of all ages, pediatric dentistry is their forte. Naylors Court Dental Partners has some of the top dentists in the state, as awarded by Baltimore Magazine in 2013, 2015, 2016, and 2017. They welcome children of all ages for preventative and gentle pediatric care. Town Center Family Dentistry is all about their doctor-patient relationships, making them particularly attuned to the needs of children. They offer x-rays, general dentistry, teeth whitening, pediatric dentistry, and much more. These Catonsville dentists has serviced the Catonsville, Maryland, area for over a decade. Family dentistry services include first exams, comprehensive checkups, hygiene, night guards for bruxism, oral surgery, and more. They’re happy to help the entire family.